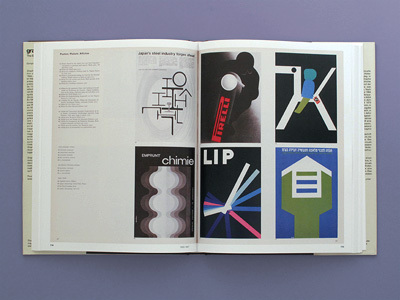 From 1952 to 1986, the Swiss design powerhouse Graphis published a yearly volume under the title GRAPHIS ANNUAL, presenting a survey of graphic design work from the past year. Taken together, these 35 volumes highlight some of the most impressive and innovative design work that was being done in advertising globally during that period. 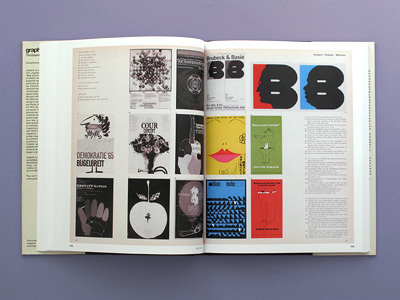 GRAPHIS ANNUAL: THE ESSENTIAL 1952�1986, edited by idPure magazine editor in chief Thierry D. Hausermann, culls the strongest and most surprising examples of graphic-design prowess from the series' three-decade-plus run. 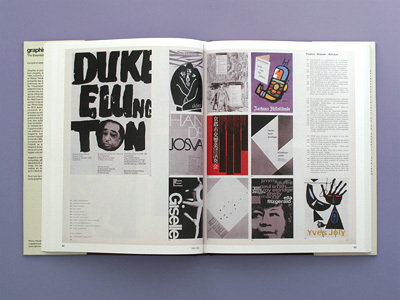 The 400 images�half black and white, half color and all bold and lively�are presented in fantastic double-page spreads that have been reproduced directly from the original publications. These selections were made with an eye toward illuminating themes that have already experienced revivals in recent years, and as a result the visual language of this volume feels especially current and fresh. 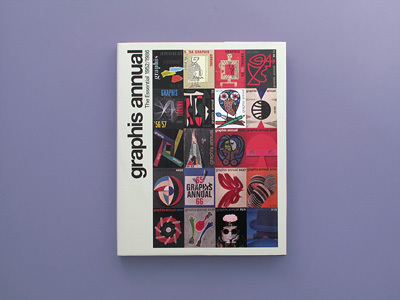 GRAPHIS ANNUAL is beautifully bound, an exquisite design object in and of itself. 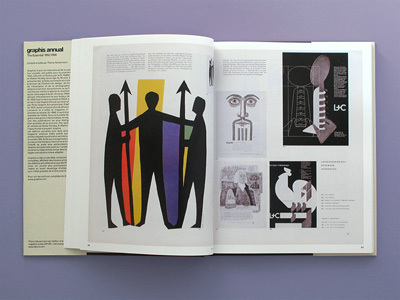 It constitutes and important addition to the shelf of any designer and lovers of this golden age of graphic innovation.